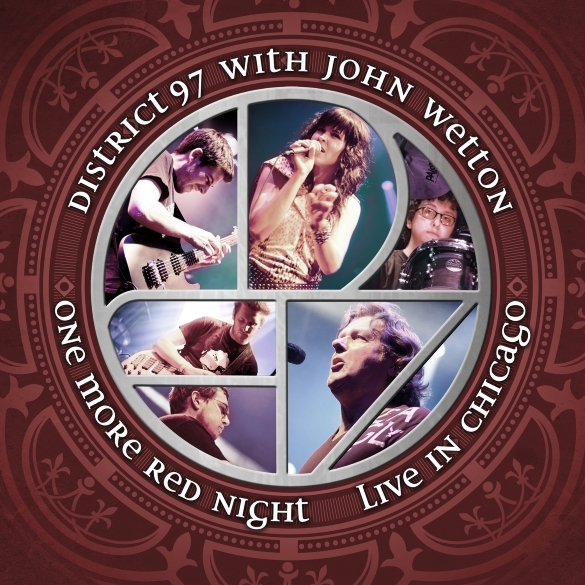 ‘One More Red Night: Live In Chicago’ includes three songs from the iconic landmark album ‘Red’; which inspired many musicians including Kurt Cobain. This CD also captures several other well-known songs from the three King Crimson studio albums John Wetton played and sang on, plus their earlier hit “21st Century Schizoid Man”. This is the first release of this recording and features many tracks which are now rarely heard live. “I’ve said it before, and I maintain that D97 is the best young progressive band around right now. Gifted players, great material, and a brilliant, charismatic singer in Leslie Hunt. Their shows are an exciting pleasure to attend, and I am proud to work, and be associated with them.” – John Wetton, Annapolis, October 1,2014. This entry was posted on Tuesday, October 14th, 2014 at 14:05	and posted in District 97, Press Release. You can follow any responses to this entry through the RSS 2.0 feed. « Bass Guitar Virtuoso Jeff Berlin To Tour Europe Fall 2014!